Travel, to immerse yourself with the beauty and cultures from other parts of the world! Not forgetting to make new friends along the way on this 45 days of adventure departing from Finland, the land of Northern lights and Glass Igloos to the Eastern part of France! 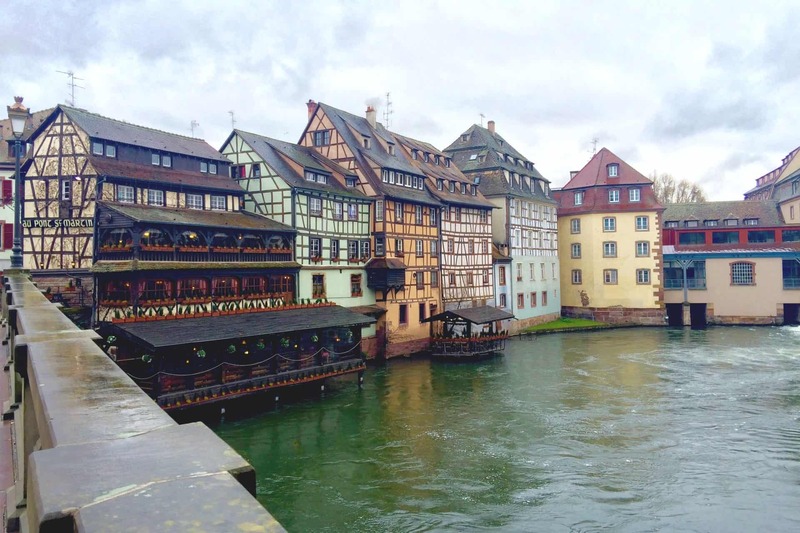 This is Part 1 of a 2 part series to the undiscovered beauty of Alsace! 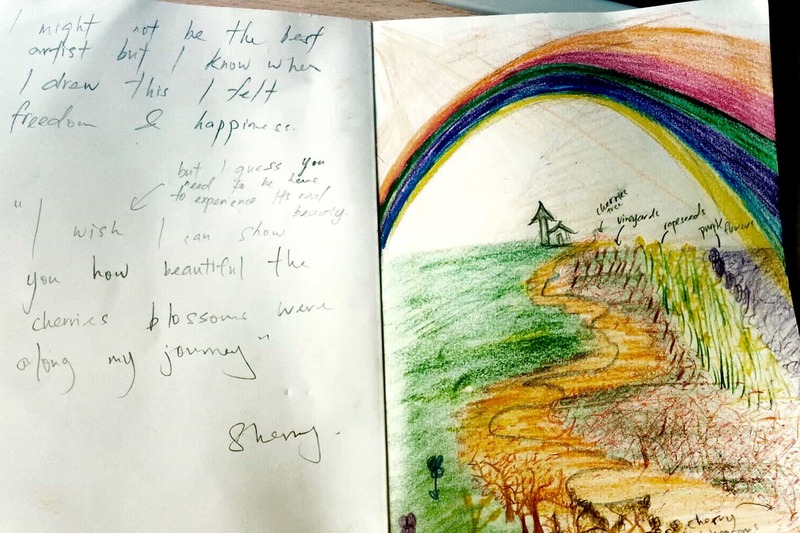 45 days Europe Adventure begins with my sketchbook, color pencils, the beautiful scenery and me. Doodling on Train, getting in touch with my inner child. 15 years on and I still love to draw! 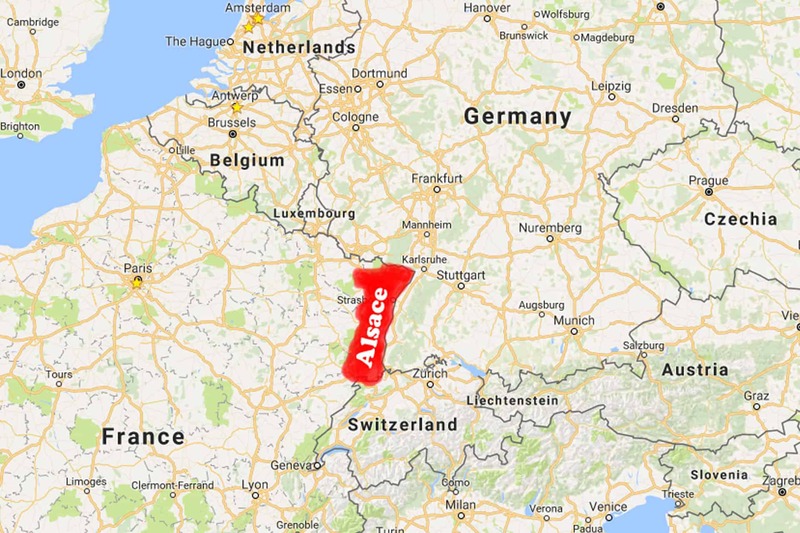 It is in the Eastern part of France near to border of France and Germany, because of the close proximity, it is actually a 25 minutes drive from Strasbourg (the capital city of Alsace region) to Germany. 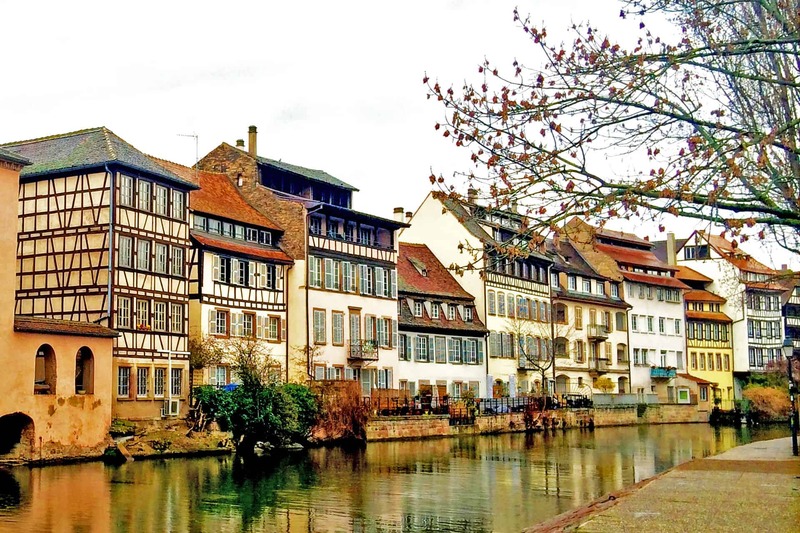 However, if you would like to experience cultures of both France and Germany at the same time without having to drive up to Germany, Alsace is the place to visit because the history of Alsace revolves between Germany to France to Germany and then back to France again. 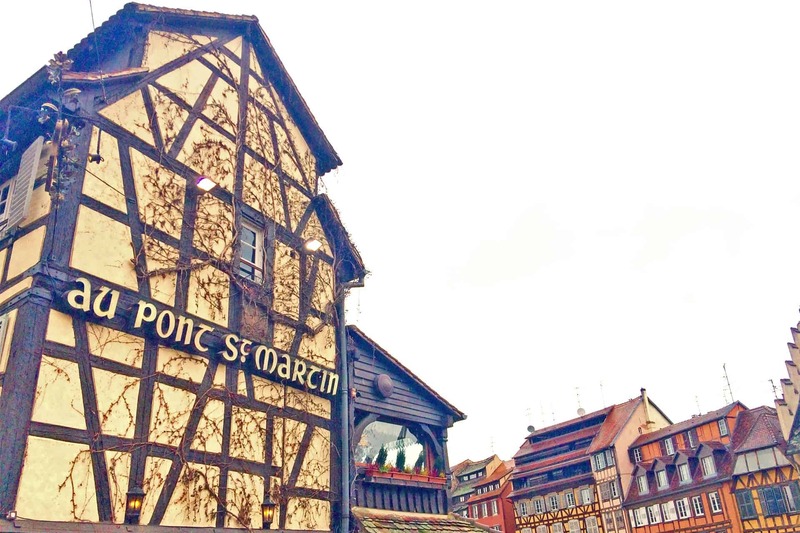 It is well known for its colorful half-timbered house, the Foie Gras, the wine and many more! 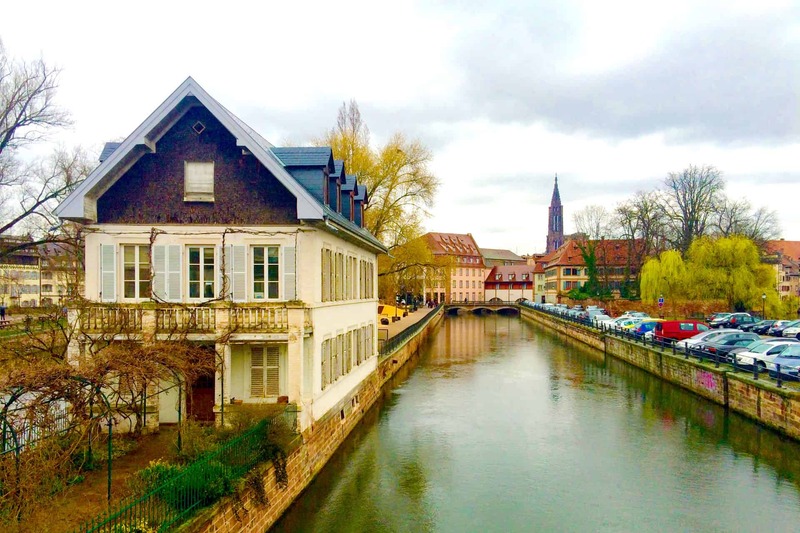 Come and follow me to discover the beauty of Strasbourg in Alsace! 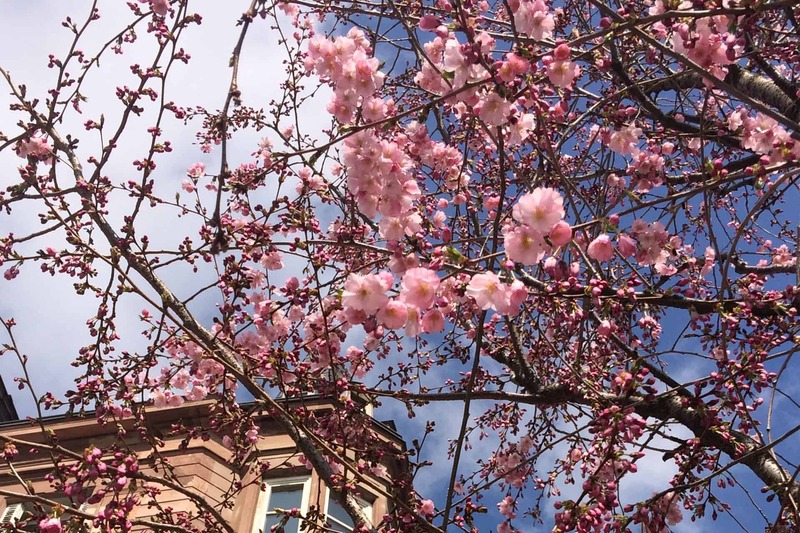 Did you know that you can see Cherry blossoms bloom in Europe too? Clear blue sky, white clouds and beautiful flowers blooming in one of the nicest city, surely it can brighten up your mood! 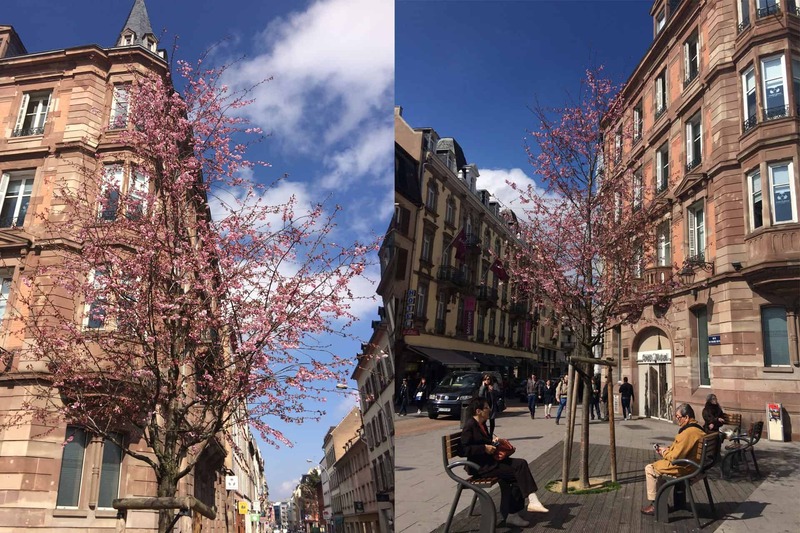 Cherry Blossom in Strasbourg, those are not statues, they are real people in Strasbourg enjoying their chat under a cherry tree. WOOOOO HOOOOO! 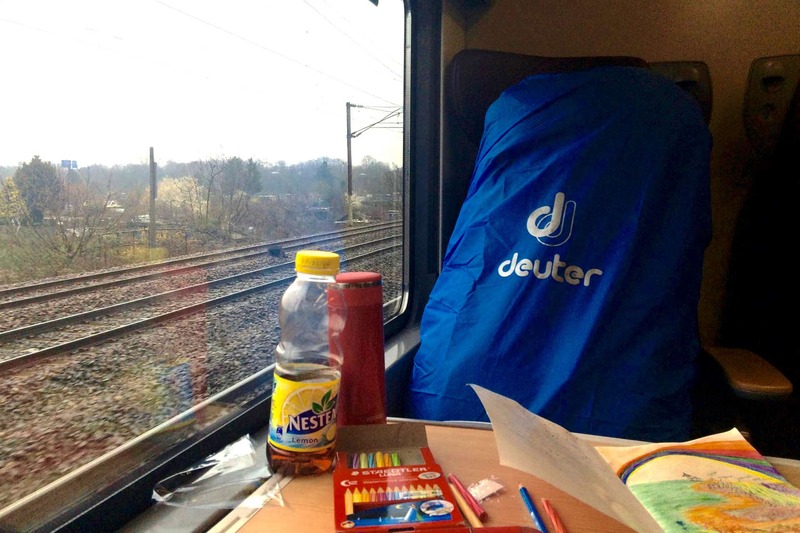 Having travelled a good 3hours and 10 minutes via train from Zurich! I have finally reached my destination! Alternatively, you can choose to come in from Paris via TGV, takes you only 2 hours! 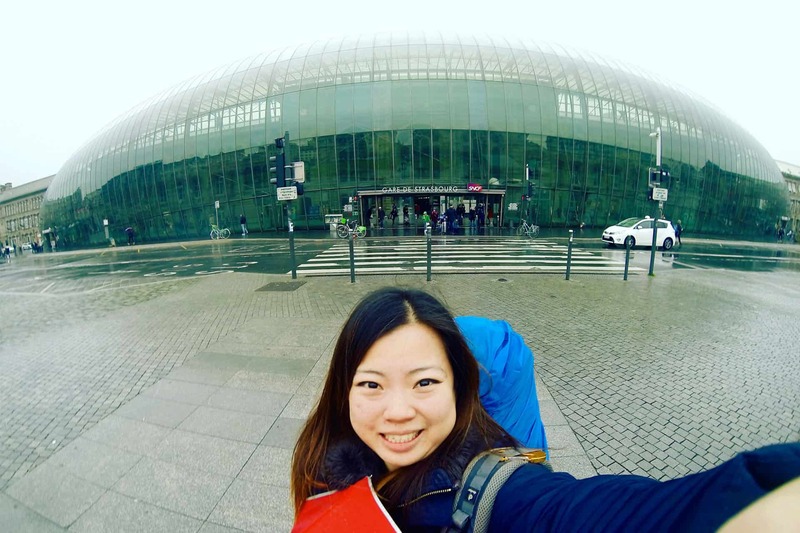 Strasbourg Station! You must be thinking I am at some soccer club’s stadium right? Nope! This is actually the Strasbourg train station. Full glass sky dome! An instagram worthy location! 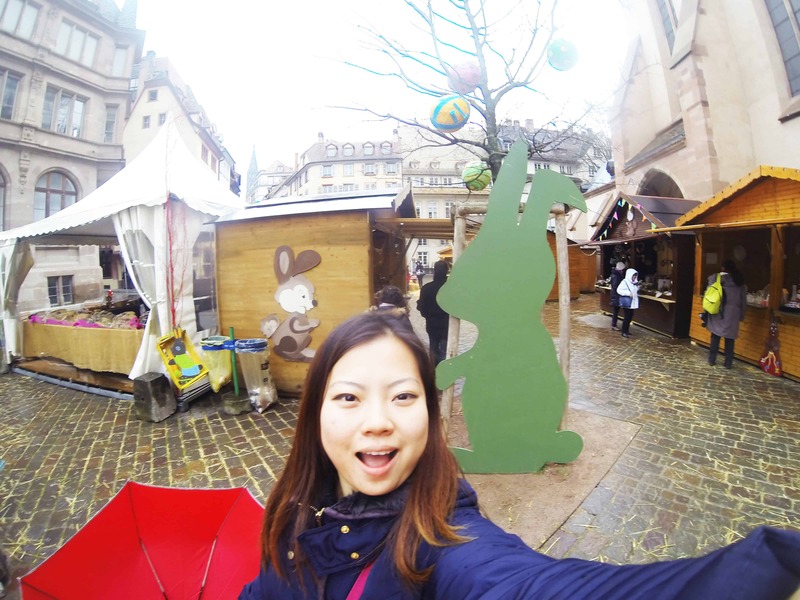 Easter celebration in Strasbourg with Easter decorations and Easter Markets! Came upon this very well decorated Easter tree upon my arrival and realized that Easter Day was only 2 days away! It is a public holiday for the people in Strasbourg and every shop in the town will closed for celebration, but doesn’t mean I just do nothing and sleep in, THE EXPLORING CONTINUES! 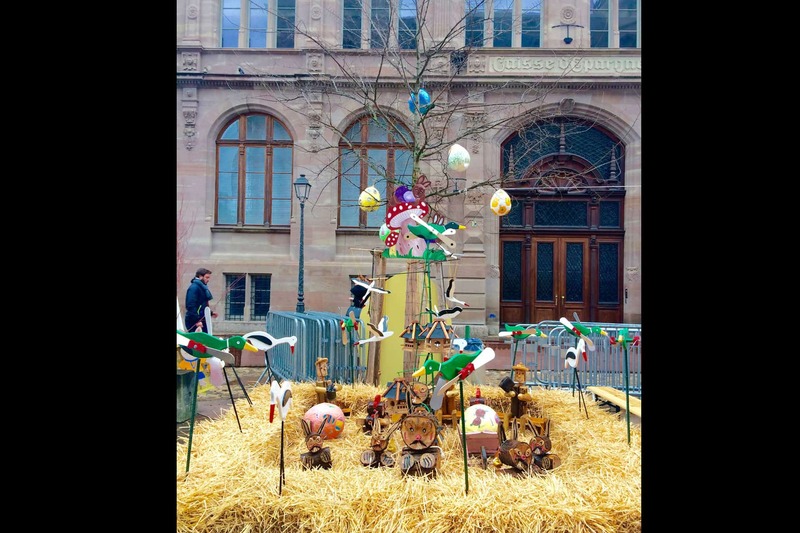 Easter tree at Easter Market Strasbourg. Small Easter Market Beside a Church. Checked into my accomodation and my very friendly host Dominique welcomed me gave me directions to an Easter market nearby! He recommended trying out the Tarte Flambée which can be easily found in the Easter markets. 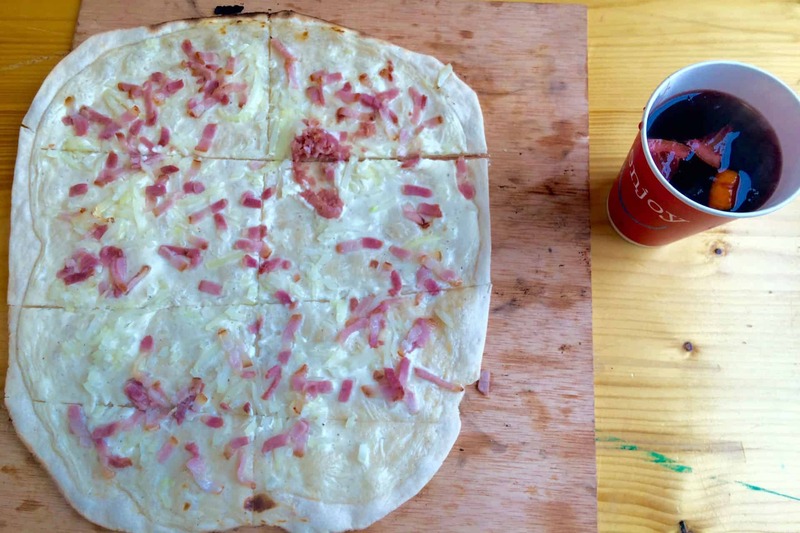 What is Tarte Flambée? Come with me and find out! First step of experiencing local culture, FOOD! 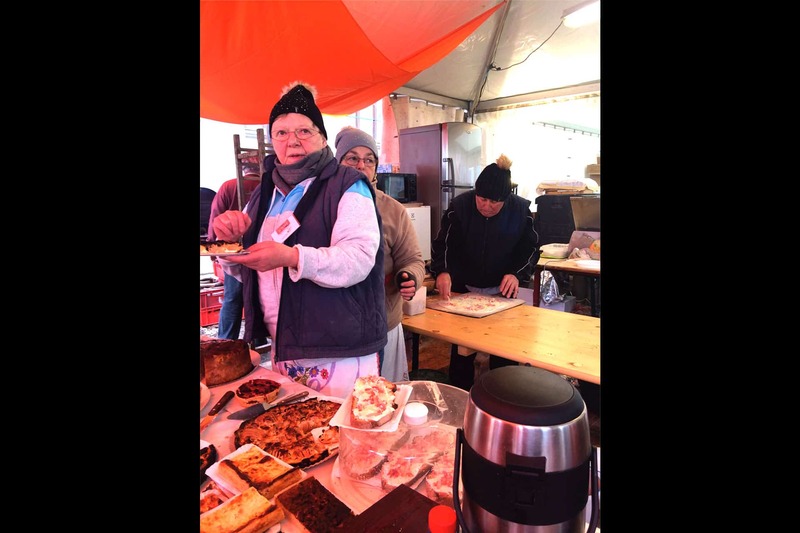 Tarte Flambée (Alsatian, flammekueche) found at the Easter market is actually a thin crust pizza, topped with sour cream and white cheese, onions and bacon. Flammekueche means “flame cake” or “pie baked in the flames” and the authentic Flammekueche is cooked in a traditional wood-fire oven to seal the flavour in and bring out the taste of the pizza. Pizza lovers! You cannot miss this if you are here in Strasbourg! For every traditional food in any region, there’s always a story behind it. Legend says that this was actually a homemade dish that the farmers of the Bas Rhin make before they bake their bread once a week. This was not known to the public until pizza was introduced in the 1960s! Count on them to come up with such delicious food! So how did it start? When the oven is too hot to bake their bread they will roll up a thin piece of dough and spread it with thicken cream and the border of Tarte Flambee would nearly be burned by the flames and thus giving it its name and it shall become their very fulfilling midday snack! Tarte Flambee with Gluhwein – Best Combination! Cooked to perfection, the dough of the Tarte Flambée is crispy and thin! Of course, not forgetting a piping hot drink in the 10 degrees weather, the authentic Gluhwein! It is a hot mulled wine where they boil lemon and orange peels in water together with cinnamon, sugar, cloves and nutmeg. Wine is then added to the mixture and heated for 30mins before serving! Hot wine in cold weather, best combination! With a happily filled stomach, now let’s go exploring! 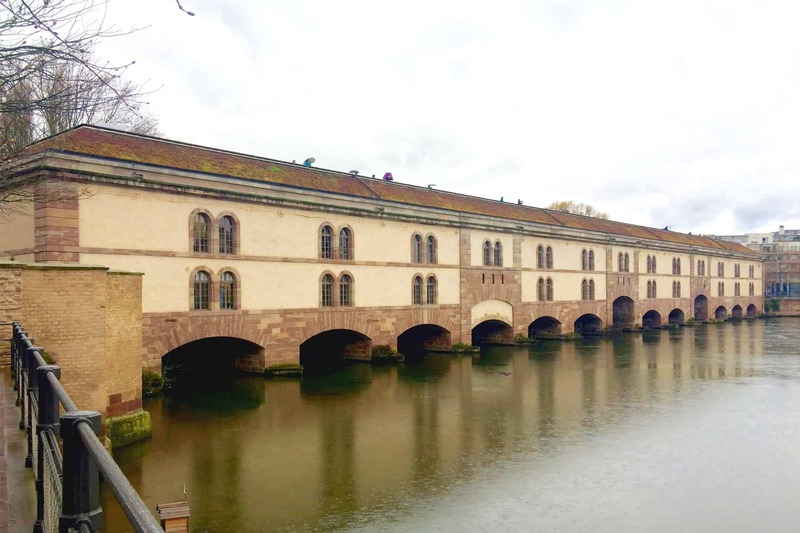 First stop, the terrace of the Barrage Vauban, a 17th century defensive bridge that saved Strasbourg in 1870 during the Franco-Prussian War. The function of the bridge is to raise the level of River Ill and thus flooding all of the south of the city that prevented enemies from entering the city. The entrance to the barrage is free! 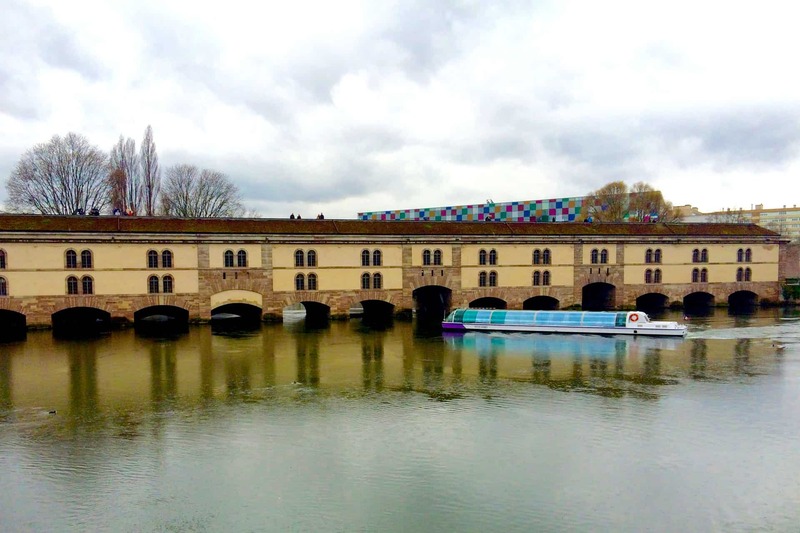 On the terrace of Barrage Vauban, you can catch the best view of the city, Le pont Couverts (The Covered Bridges) and the most romantic petite France at the back. Cool breeze, light rain, quiet town, beautiful scenery, I wish that I can stay here forever! All these pictures are like scenes from fairy-tale ,even the swan is gliding gracefully. Just strolling along the riverbanks is enough to have peace in mind. Caught a swan gliding through the River III. 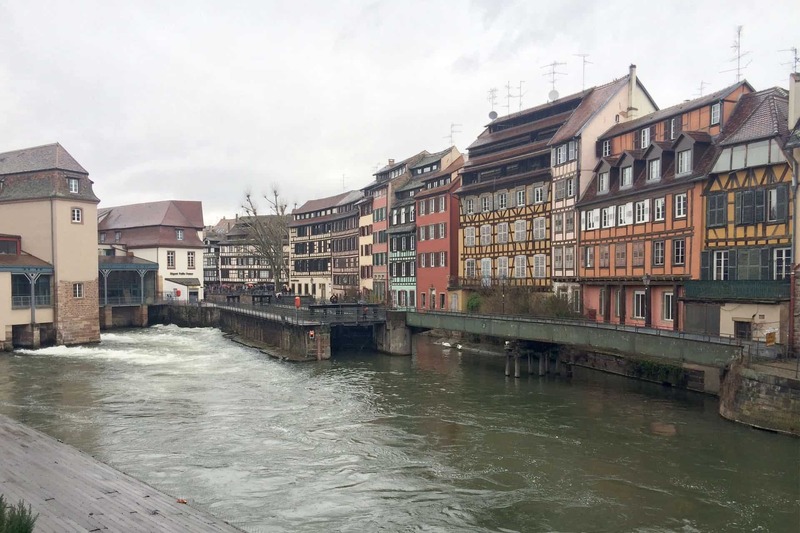 Strasbourg most famous place Petite France. The name Petite-France (“Little France”) was not given for patriotic or architectural reasons. It comes from the “hospice of the syphilitic” (Hospice des Vérolés, in French), which was built in the late fifteenth century on this island, to cure persons with syphilis, then called Franzosenkrankheit (“French disease”) in German. Petite France forms part of the UNESCO World Heritage Site of Grande Île, designated in 1988. This area is famous for its 16-17th century half timbered house. The view of Petite France from the locks that facilitate the water levels of the River III. So forget the touristy Paris, come explore the true beauty of the countryside of France! This romantic town will sure allow you to bring back beautiful memories with your loved ones forever! The people in Strasbourg are full of hospitality and warmth! 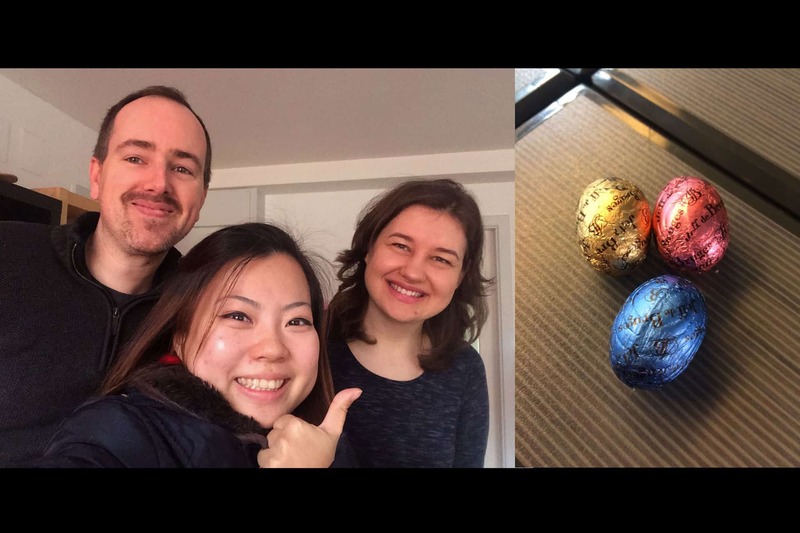 Before heading to my next town,my host, Dominique and Olga, handed me some Easter eggs! Love and warmth all around during Easter. It has to be the most memorable Easter that I have ever spent in Strasbourg! An Easter Filled with Love given by my host Dominique and Olga! 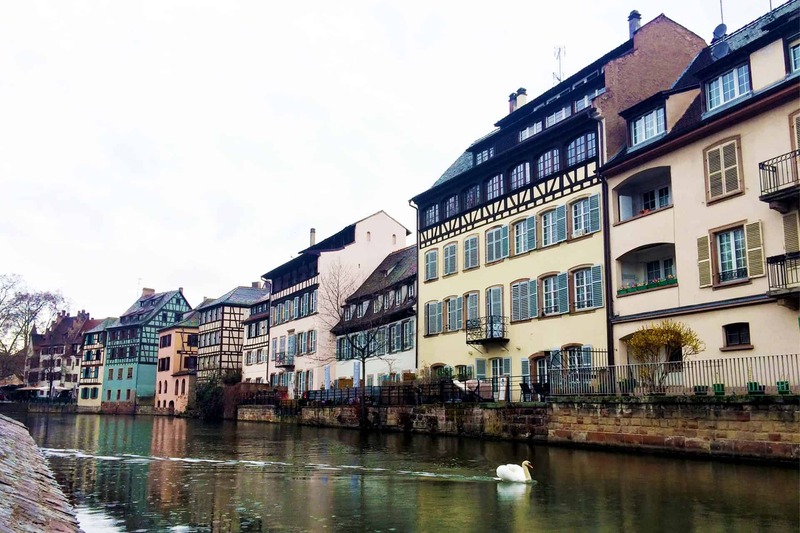 Hope Your Easter Day was also filled with Love and Happiness and Stay Tune to our next post of What to Do In Strasbourg! Cheers to more adventure and more unique food in all parts of the world and keep on travelling! ← What Food To Buy In Iceland besides Lakkris?